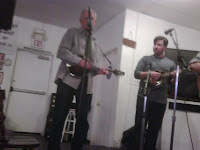 Thought it would be a good idea to post these, taken with my phone (not the clearest of pics) but since it was a hall of fame night it seems appropriate. 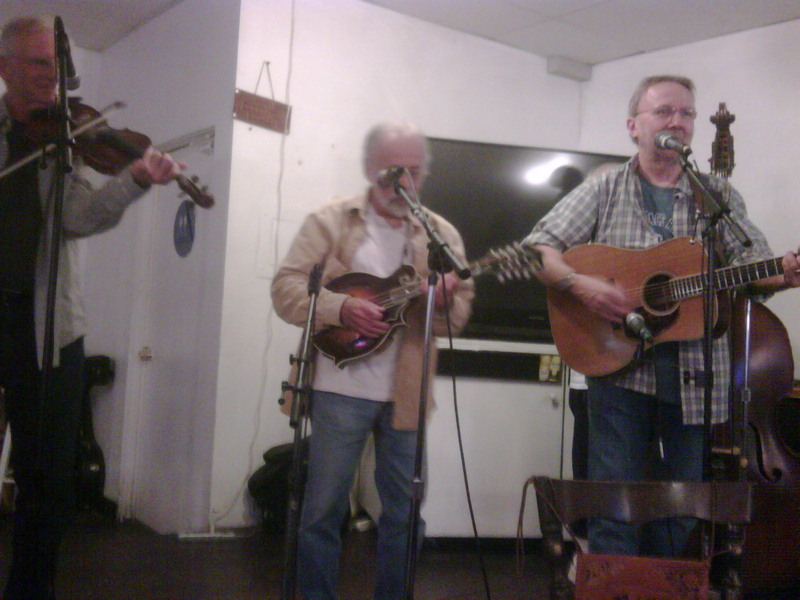 First up, Dennis Fetchet (fiddle & mandolin), Patrick Sauber (mandolin, and later banjo), Herb Pedersen (guitar), Bill Bryson (bass) and John Plotnick (banjo and dobro). 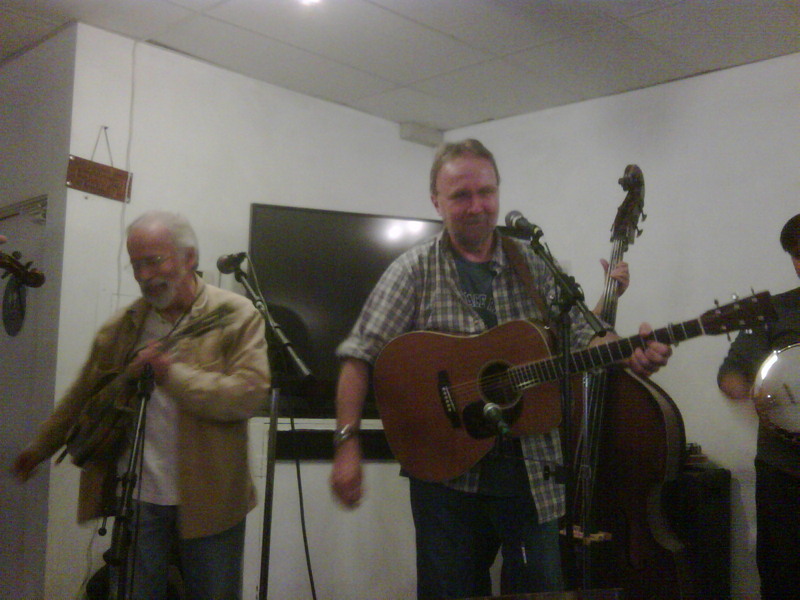 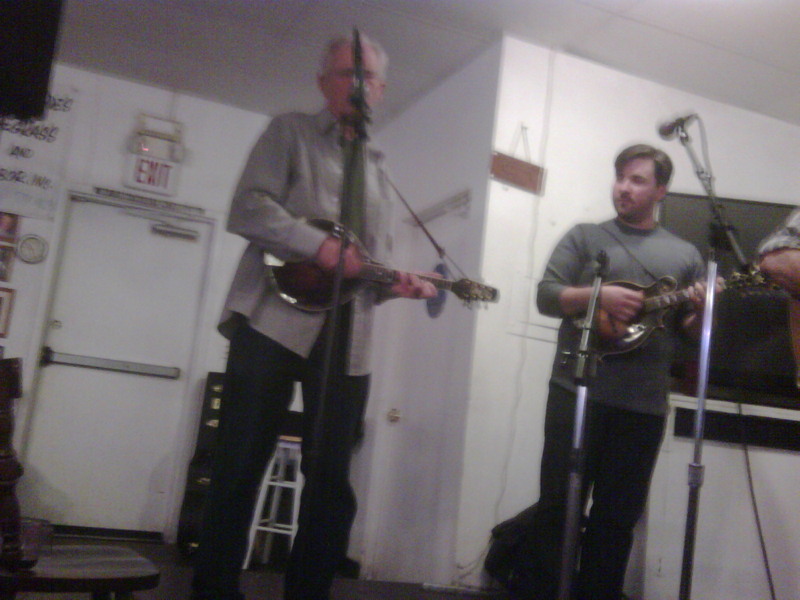 And in the audience we see bluegrass legend Roland White. And for the second set, Roland White joining in on mandolin, Patrick Sauber switching to mandolin, with Dennis, Herb and Bill. 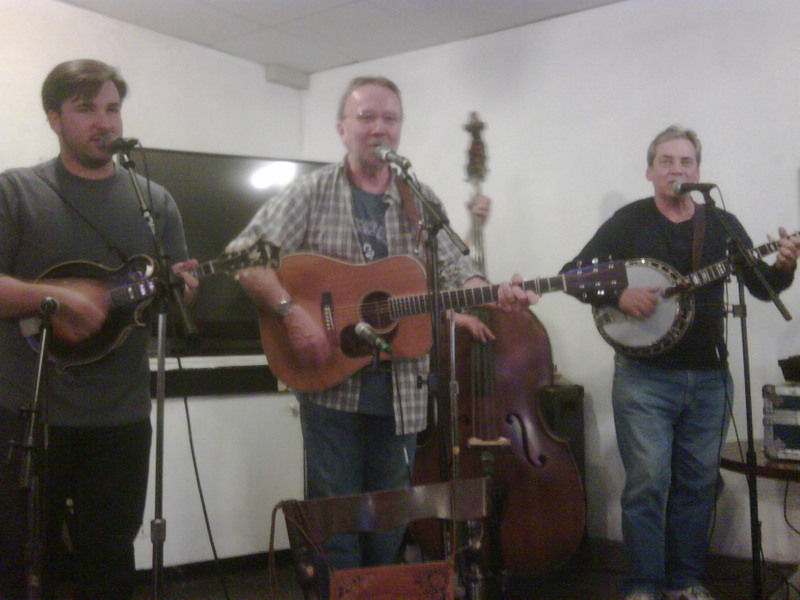 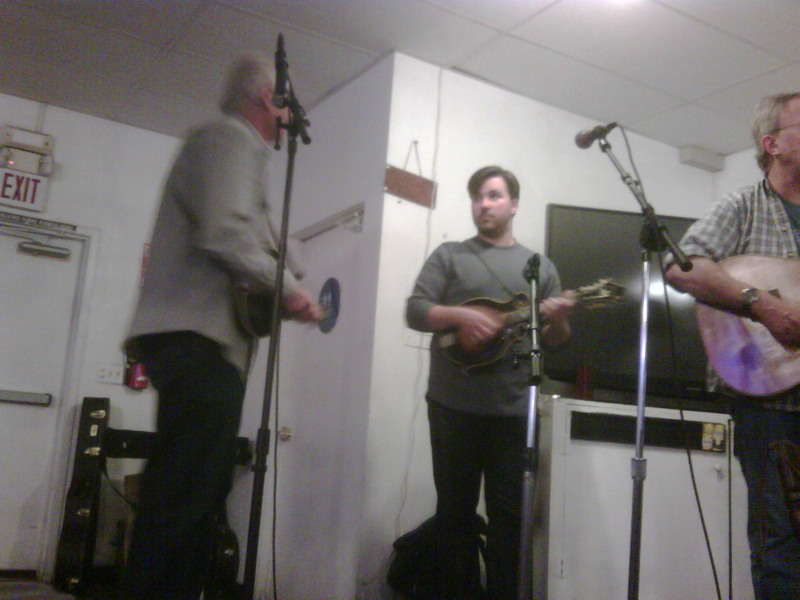 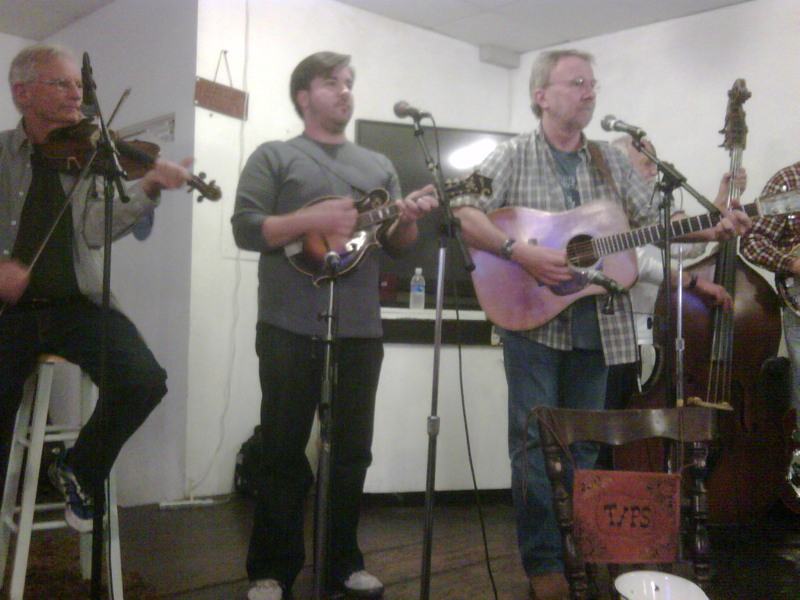 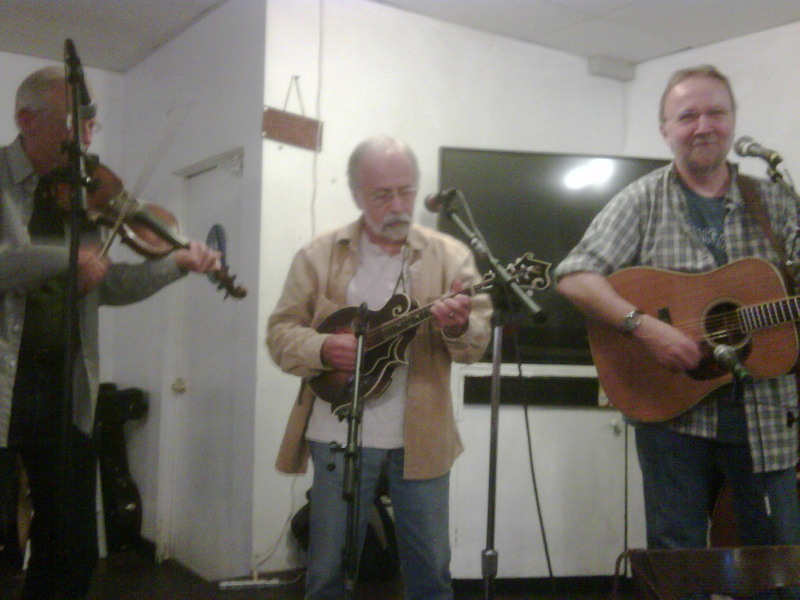 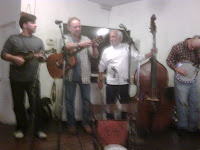 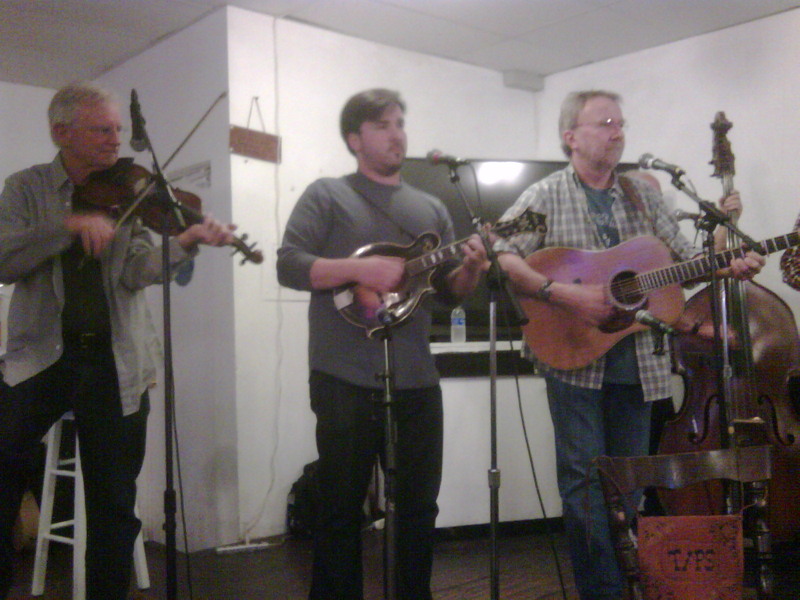 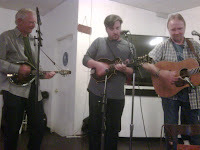 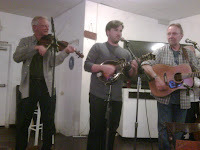 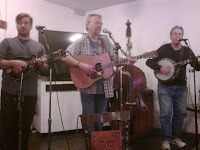 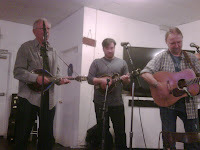 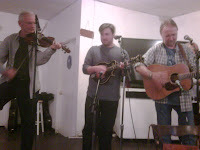 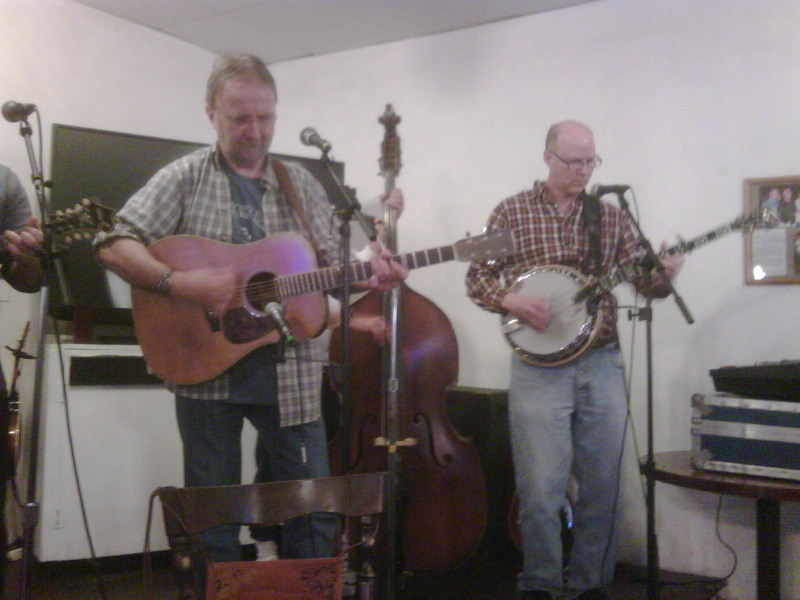 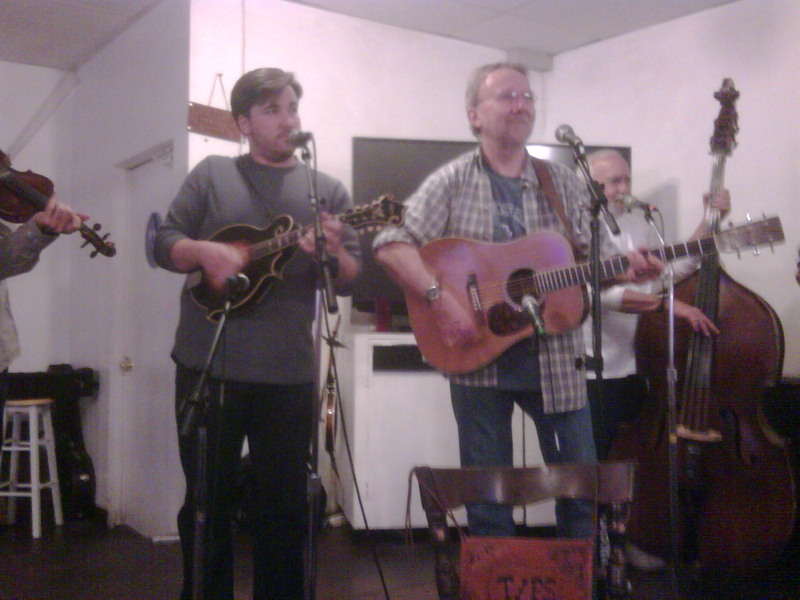 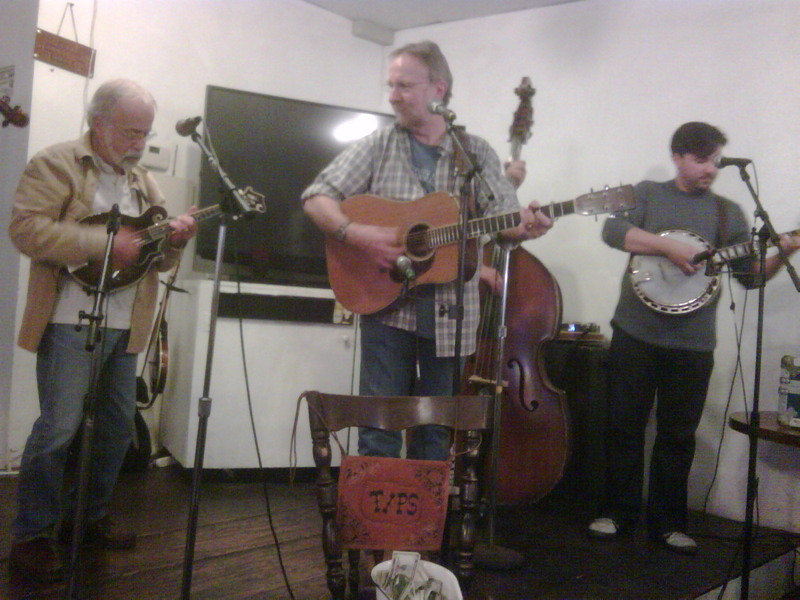 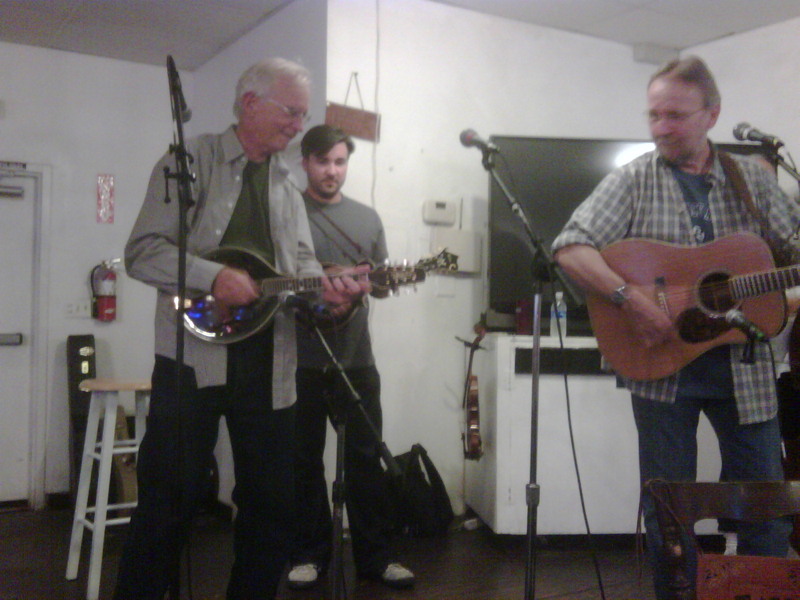 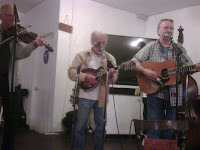 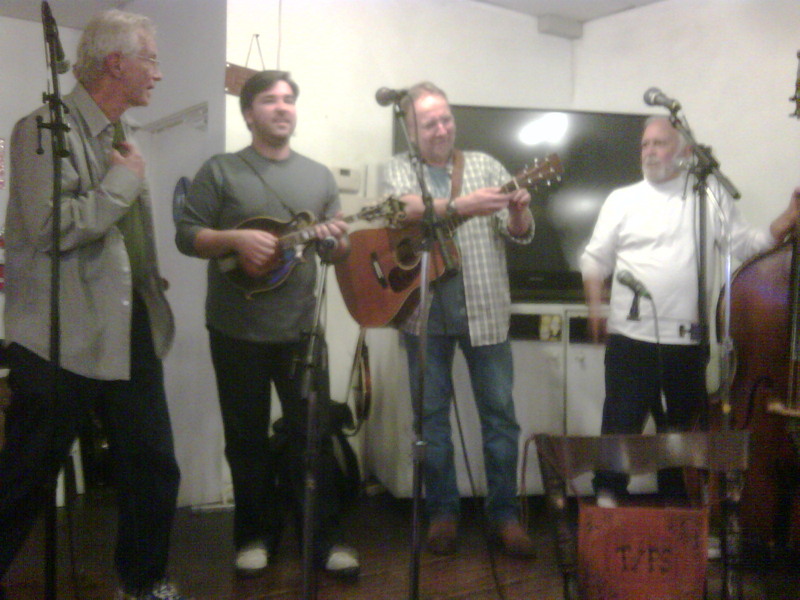 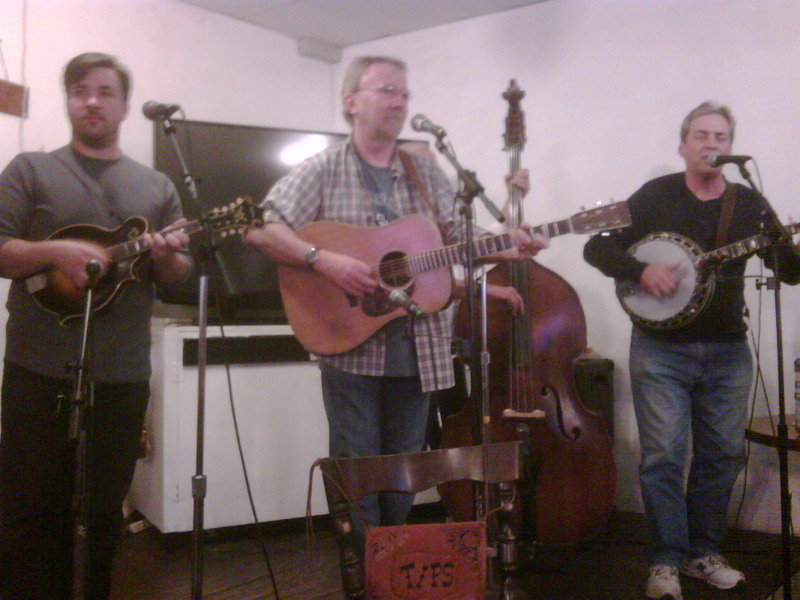 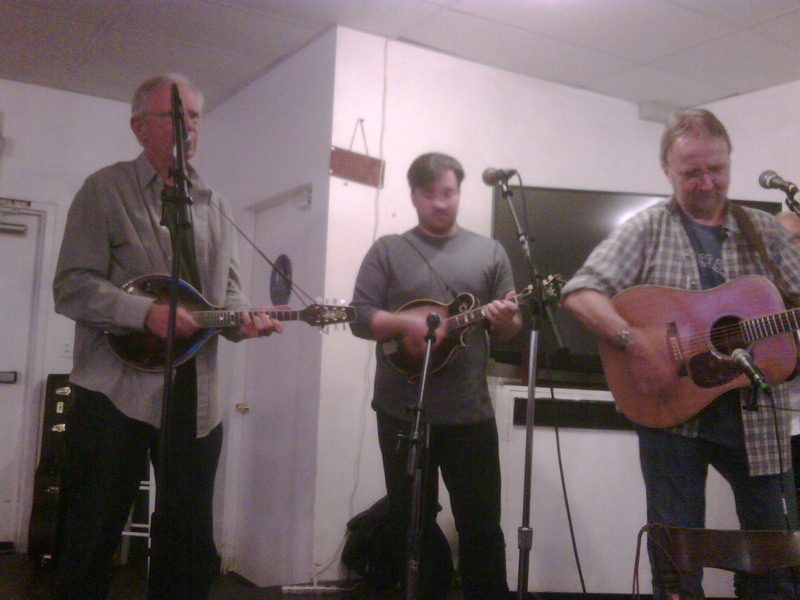 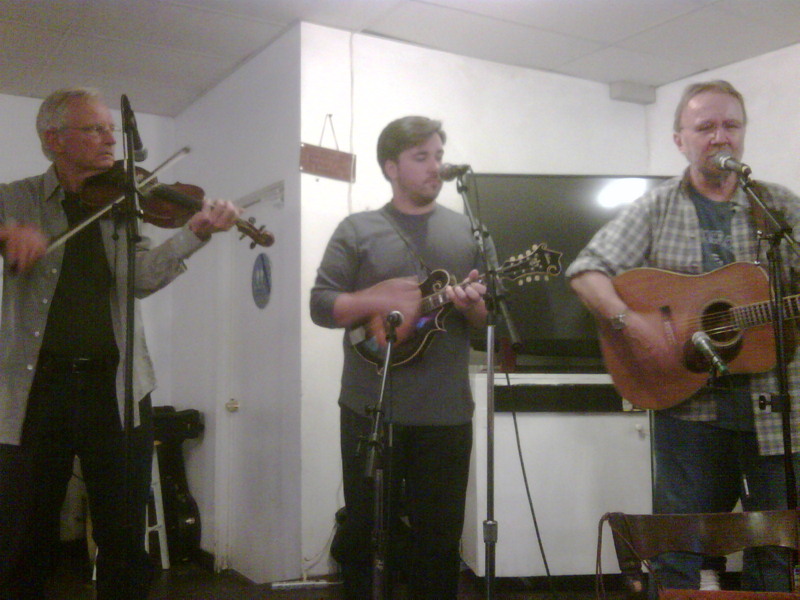 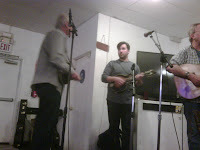 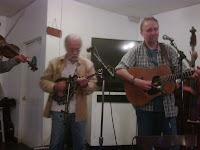 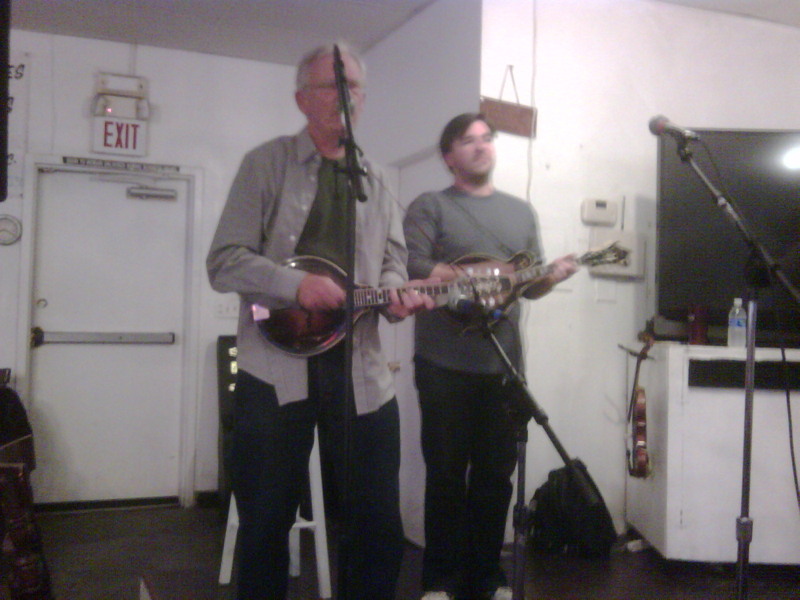 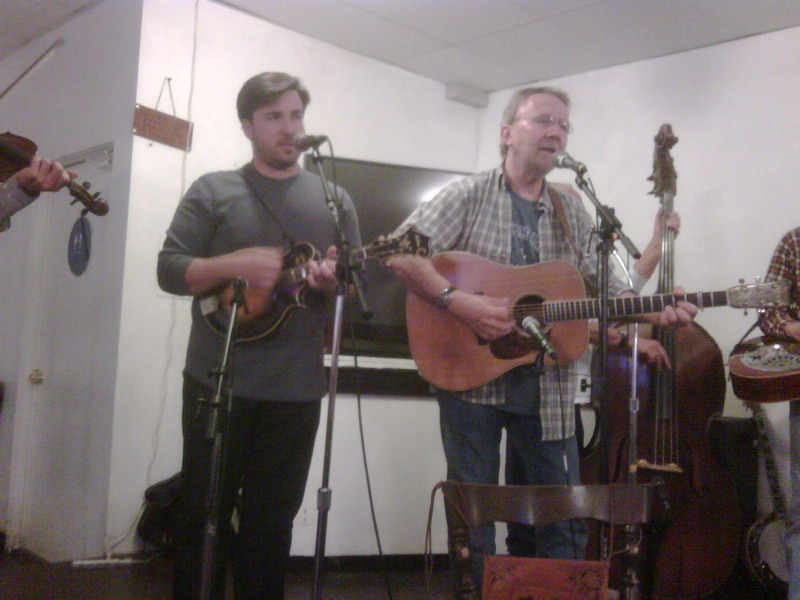 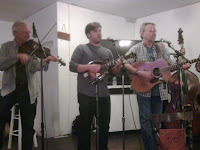 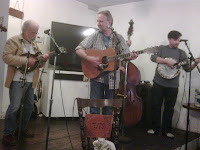 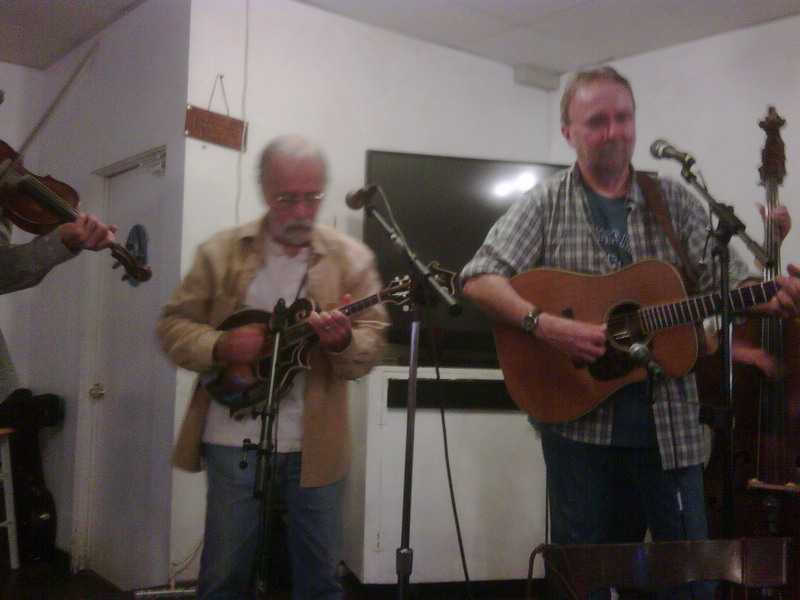 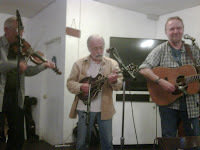 Then Patrick back on mandolin with his father Tom Sauber on the banjo, with Herb and Bill, also known as "Loafers Glory". And for the rest of the second set and the third, the original lineup, Herb, Bill, Dennis, Patrick and John. 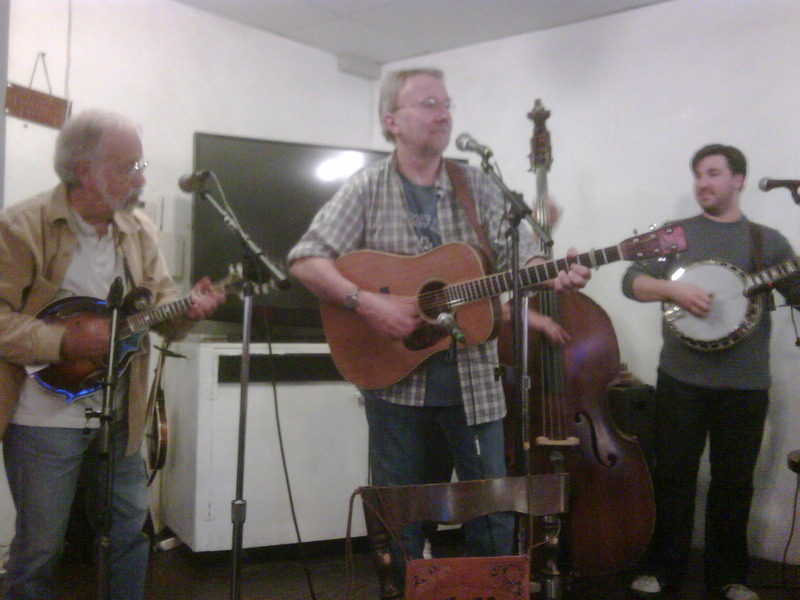 And it wouldn't be right if we didn't hear Herb sing "Wait a Minute", in the picture above left. Thanks to The Grateful Dudes (and Roger), Kyle for the table, and Ben for the pizza. 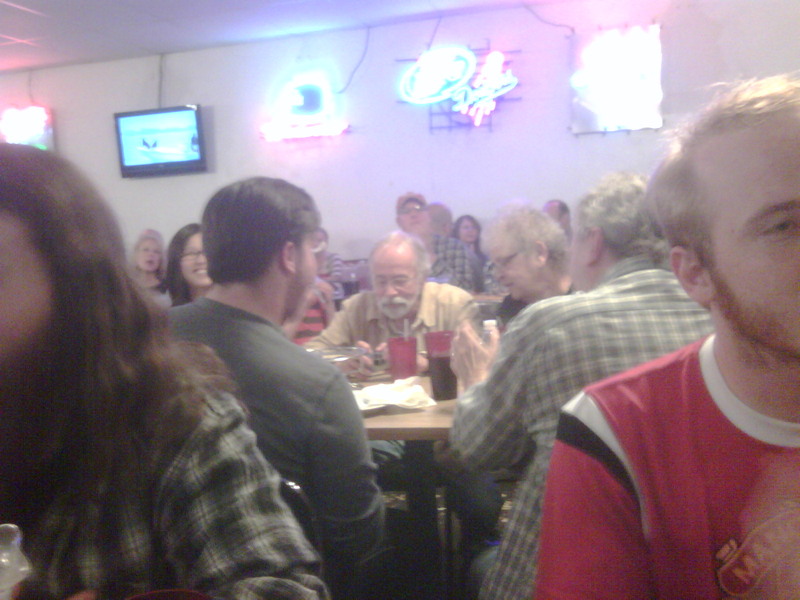 See you next week, with a slightly different cast of characters.